Since moving to Idaho for the summer, I've invented a fun new mind game: Compare and Contrast California and Idaho. California cuisine: fresh, local ingredients; Idaho: fresh, local bull testicles. California ideal vehicle: gas-sipping Toyota Prius; Idaho ideal vehicle: rusted-out 4x4 that may or may not have an exhaust. California driver: "Get the hell out of the way! "; Idaho driver: "Hiya neighbor! No, you go first." So there are good things, and there are bad things. Another difference between Idaho and Cali is that motorcyclists aren't required to wear a helmet in Idaho. All these biker dudes are risking their lives, but I'd never say anything about it because (a) we're talking prototypical leather-pant-wearing, hawg-driving, lady-on-back kind of fellows, and for them wearing a helmet is a wimpy expression of weakness; and (b) people believe in their right to die around here. The Idaho law (and most other helmet-free states) says that "no person under eighteen (18) years of age shall ride upon a motorcycle as operator or passenger, upon any highway unless at all times, when operating or riding upon the vehicle, he is wearing, as part of his motorcycle equipment, a protective safety helmet of a type and quality equal to or better than the standards established for helmets by the director." OK, so kids have to wear a helmet, not adults. In 27 other states, this is the law of the land. Mandatory helmet laws came into effect in 1967, and have always been a topic of heated debate. The nonhelmet folks argue that what they do with their bodies is their right, and requiring a helmet infringes on personal freedom. Helmet advocates tend to point to the needless deaths that occur when riding motorcycles without helmets. According to the National Highway Traffic Safety Administration (NHTSA), "Helmets are known to be very effective in a crash." The NHTSA estimate that in 2001, helmets saved the lives of 674 motorcyclists, and could have saved the lives of 444 if the rider had been wearing a helmet. But there is a group that's trying to stanch the death count, but not by requiring helmets--by requiring sober motorcycle riding. 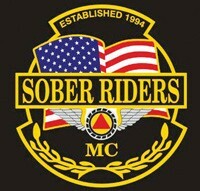 They're called the Sober Riders Motorcycle Club. Started in Tucson in 1994 by a biker who goes by the moniker Pooh Bear, the Sober Riders aim to 12-step and ride the bikes that they love. Like any motorcycle club, they have secret by-laws and membership dues that are hush-hush to the public. And yes, most members have club names like "Rodeo" or "Wolf." Whatever you do, don't laugh. There are now a dozen satellite groups of the Sober Riders in states like Wyoming, Utah, Nevada and California. There's even one in Iceland! I really like their creed: "Rode to find myself and could not see, rode looking for a higher power but it eluded me. Rode in clean and sober fellowship to find all three." Tim McKenna, the Sober Riders Eagle Rock founder in Idaho, said he started his club a few years ago to give motorcycle clubs a better name. Instead of being associated with the Hell's Angels and other rough-and-tumble clubs, McKenna said he hoped his group would be different, more sane. "We're becoming good neighbors of the club world," he told me in a phone interview. "Last year at Sturgis, 13 people were killed, involved in alcohol-related accidents," he said, referring to the weeklong motorcycle festival held in Sturgis, S.D., every August. The rally attracts hundreds of thousands of bikers who partake heavily in beer and drugs, then ride around on their bikes without helmets, tempting fate. Sober riders aren't anti-Sturgis by any means. In fact, McKenna is organizing a pre-Sturgis rally in Idaho. They're just people who happen to be in recovery from alcohol and drug addiction. "I had a lady pull my arm and say, 'You guys are giving motorcyclists a good name.'" McKenna said. "That's what we're all about." By the way, McKenna does wear a helmet. "I don't want to hurt my head," he said. Now that's a practical man!